Next to the core projects of a Think Tank like writing books and white papers, organizing teaching events and conferences, as well as founding an own press, the Center for Integral Wisdom prides itself to be an Activist Think Tank. Evolutionary Church is one of the many fruits of the Joining of Genius between CIW President Marc Gafni and Founder of the Foundation for Conscious Evolution Barbara Marx Hubbard as well as their respective organizations that remain independent yet interconnected. 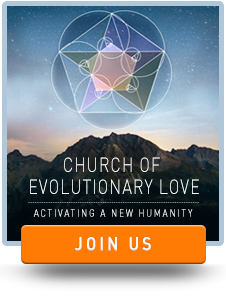 Evolutionary Church is a weekly, interactive, live-streamed gathering during which Barbara Marx Hubbard and Marc Gafni usher us into a resonant field of allurement and love that serves as a potent catalyst in revealing the direction of our personal and collective evolution. Each week Barbara and Marc introduce an evolutionary theme and articulate a message based that theme. Then YOU are invited to speak your voice, as part of the Unique Self-Symphony, into what Teillard De Chardin called the Noosphere… the evolving consciousness of reality – enabling it to get it’s collective eyes. At the Center for Integral Wisdom, our mission is to evolve the source code of culture by evolving the memes and distinctions that are at its core based on “The Universe: A Love Story” principles. Together we articulate, evolve and deliver a new, Integral narrative or “Dharma” for living – which transforms each individual, culture and life itself – creating a world of Outrageous Love, through Outrageous Love. While our goal is to penetrate both mainstream culture and the world of the academy through a set of books, courses, and media, the core process of evolving the source code happens most clearly in our Mystery Schools. Mystery School is where we come together as evolutionary mystics, the Wheel of the Dharma turns, new dharma is coming down, SHE dances, and we can literally feel the source code shift. Intiated in 2012 by Chahat Corten together with Marc Gafni, she still holds it in her big heart and her Evolutionary Satsangs every morning of Mystery School. In 2017, Mystery School has taken its next step. Directed by Claire Molinard together with a team of holy and audacious rock stars, Mystery School has become independent of the place where it started. Dr. Marc Gafni is the main Teacher-in-Residence who opens the dharma gates every morning. He is joined by a group of international embodiment specialists who make sure that the dharma gets anchored in every cell of the body. 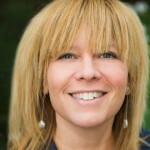 Kristina Kincaid is the director of the Integral Evolutionary Tantra Institute in New York City and the leader of the Outrageous Love Project, a collaboration between Marc Gafni, Kristina Kincaid, and the Center for Integral Wisdom. With a series of websites (also represented in our portals) they inspire people to commit Outrageous Acts of Love and write Outrageous Love Letters. Unique Self is about evolving your identity to be in greatest alignment with the essence of who you truly are. It is about understanding your significance. It is about recognizing the gifts you alone possess in precisely the way that you do, and finding a way to share them that brings deep fulfillment. Every person has a particular set of capacities and qualities, a unique set of gifts to share with the world. So, never to achieve realization of one’s self deprives not simply the individual, but all. In anyone’s life, there are experiences that aid the unfolding of one’s unique self and likewise, experiences that shift the trajectory in ways that constrain its emergence. Unique Self Recovery provides a way back. Finding the way back often rests upon discovering where, when, how and why one went off track. It requires looking anew, with compassion, at the previously painful, and at the time, perhaps unassimilable, that created a departure from the course of one’s truest, fullest self-unfolding. It involves looking at events that closed the heart and erected obstacles to intimacy: with self, others and the larger creative context. It is about re-opening. Board Members Venodhar Rao Julapalli, M.D. and Vinay Rao Julapalli, M.D., F.A.C.C. have written a White Paper about Unique Self and the Future of Medicine. In their professional lives they are putting that into action in their private practices–the Integral Gastroenterology Center, P.A. and the Integral Cardiovascular Center, PLLC–as well as in their work with college students and patients in a hospital. Medicine is at a critical crossroads in its evolution from antiquity to our modern age. This article aims to reconceive the future of medicine. Key to this conception is an understanding of the evolution of individual development. 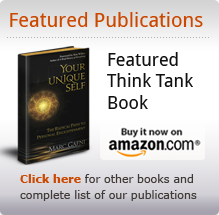 To this end, the discussion will first outline the stations of the selves, on the path to what has been termed the Unique Self by spiritual thinker Marc Gafni. Next, the discussion will distinguish between two poles of development and outlook, in order to understand how the insight of Unique Self integrates these dualities. It will then view the Unique Self from three perspectives, or four quadrants, of reality and also illustrate how Unique Self appreciates the balance between part and whole. The discussion will subsequently correlate the stations of the selves with the history of medicine and further examine dualities in medicine that parallel those of the self . It will then elucidate how an understanding of Unique Self fundamentally shifts our envisioning of the practice of medicine. This shift renews the unique calling that is the art and science of healing. The Emergence Project is bringing the world’s leading thinkers together to collectively develop a blueprint for the future of humanity, commensurate to our real potential. Solving problems without changing the basis for why they are occurring doesn’t create lasting success. Our major pressing global issues are primarily the result of human action…which is not the result of human nature directly, but human nature expressed through conditioning, which is changeable. There are technological, economic, and memetic structures in place that collectively create the current basis for conditioning…that all need to be addressed to bring about a lasting systemic shift. The magnitude, complexity, and urgency of our global challenges require deeper shifts in our collective direction than are even being endeavored towards by the current major change efforts. By changing the conditioning factors of human behavior from ones that predispose harm to ones that predispose omni-considerate benefit, we simultaneously obsolete the basis of our major issues while accelerating evolution towards the realization of our potential. 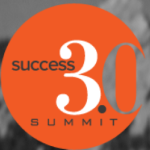 The Success 3.0 Summit was initiated by the Center as an independent movement which was created to bring together dozens of the world’s leading thinkers, entrepreneurs, and change-agents to articulate a new, transformative narrative of conscious business and success. The Summit, co-directed and produced by our very own Integral Wisdom Co-Board Chair Kate Maloney, was a collaboration with Co-Board Chair of the Center John Mackey, CEO of Whole Foods, our co-founders Ken Wilber and Marc Gafni, along with Arianna Huffington, Tony Hsieh, Alanis Morissette, Dave Logan, Raj Sisodia, Lynne Twist, Michael Beckwith, and many others, to create and explore a new model of Success for individuals, business and society. The Summit has now evolved into the RiseUp Movement and Movie that is directed by Kate Maloney and has become independent of the Center. The Unique Self Emergence Process is an elegant and practical structure – created by Barbara Alexander and Claire Molinard in collaboration with Dr. Marc Gafni – designed to facilitate significant leaps forward in a person’s emergence into all they are created to be. Unique Self Emergence is a comprehensive, dynamic, and modular framework for radical spiritual and psychological transformation. The flagship 9-month certification program trains change agents to utilize the process with individuals and groups in a variety of contexts.